Mark and Janelle Smiley agree on their most athletically challenging day: 15,700 vertical feet and 47 miles in a raging storm. “Total whiteout conditions,” Mark says. 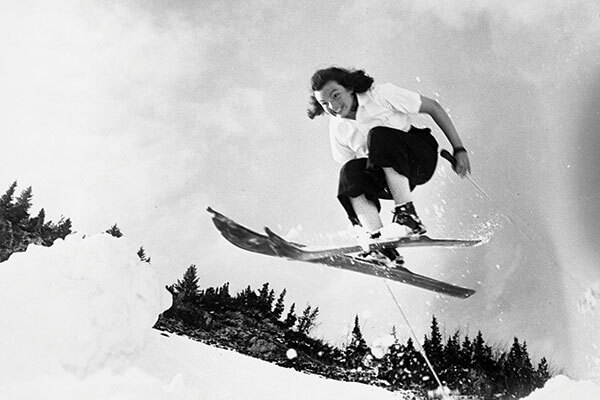 The two were in the midst of skiing across the entire Alps Mountain Range, a feat they achieved in 36 days—faster than the previous record of 41 days. Janelle recalls how much the journey taxed her body. “This had never happened before, but I would go to bed, and wake up in a pool of sweat because my body was trying to recover and it just wasn’t possible,” she says. 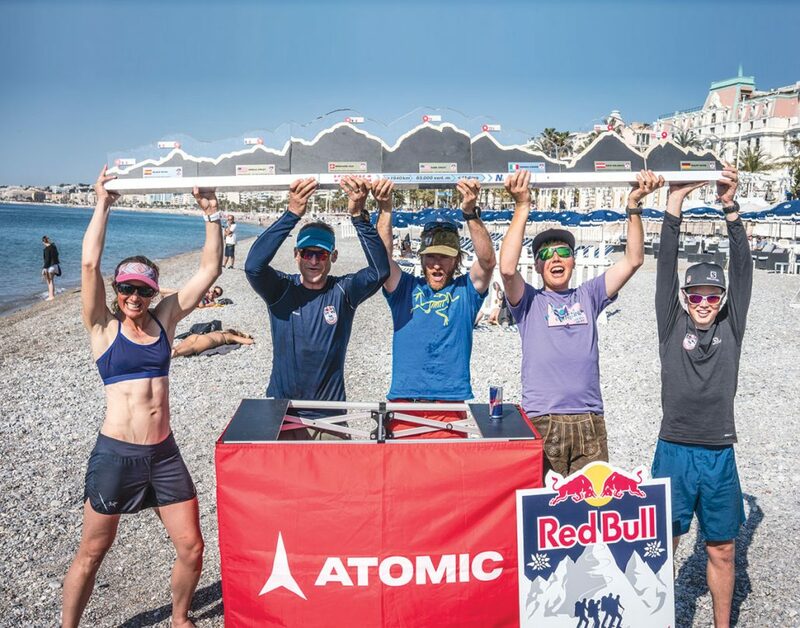 The couple was handpicked to join a Red Bull-sponsored team for the Alps crossing, and Janelle is the only female to ever accomplish this staggering feat. The Smileys and their team began the adventure just outside Vienna, Austria, finishing in Nice, France. Each Smiley possesses a formidable amount of mountain skill and athleticism. Mark is an international mountain guide, and Janelle is a ski mountaineering racer. Both guide for Exum Mountain Guides. 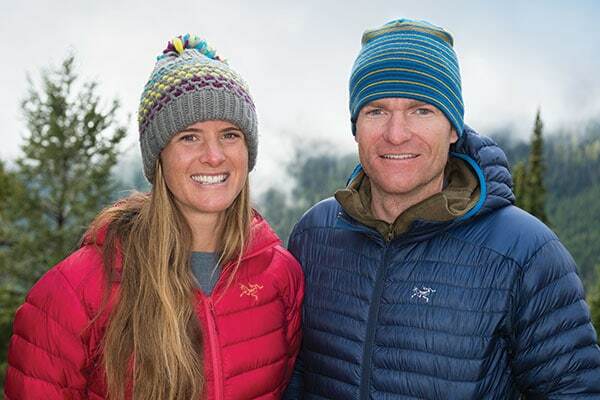 Mark and Janelle have won competitions, guided around the world, and together they completed a seven-year project attempting the “50 classic climbs of North America,” where they achieved 48 summits. "Adventures together are the best gift ever. And you don’t get homesick because your home is there with you." With many athletic achievements already under their belts, the pair is always looking for new opportunities for growth. The process of how they apply their skills is also evolving. 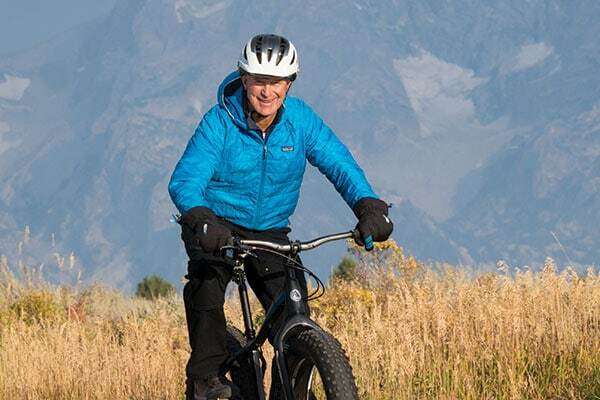 Mark began taking photos and videos for outdoor-related organizations, and those experiences ultimately led to him creating his own instructional online courses covering mountain skills. “I want to pass on the education I’ve had,” he says, noting the courses cover technical skills and information that can help climbers and skiers increase their safety—topics like navigation, glacier travel, expedition skills, and building good anchors. Janelle enjoys coaching clients on athletic and holistic goals and teaching workshops and retreats locally. The pair plans to combine their interests for a joint endeavor focusing on building relationships while gaining outdoor skills. “Through experience, we’ve learned to adventure together successfully,” Mark says. The Smileys are creating an online course, and will run retreats covering this topic. Both feel strongly that time spent together outdoors is a benefit.